Live Free and Run: Ten Great Races to Add to your 2018 Calendar! 1. Shamrock Marathon and Half Marathon March 16-18, 2018. Celebrate in a tent on the sand with Yuengling beer, stew and the Dublin 5, one of my favorite Irish bands! Everyone gets decked out in green in celebration of St. Patrick's Day. It's a big party! And the latest exciting news.....Kara Goucher will be there. I am so excited! I can't wait to go back. The hubby has run the full and I have done the half. 2. Cherry Blossom Ten Miler. April 8, 2017. Not to be missed. 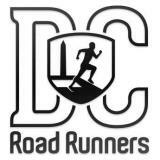 This race is a DC institution and self dubbed "Runner's Rite of Spring". 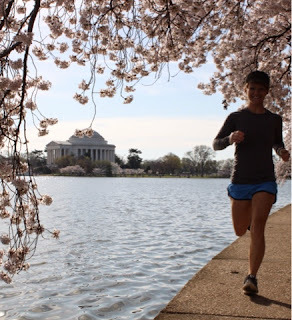 People travel from all over the US, hoping to get perfect race conditions that line up with peak blooms! The lottery is over, but they do allow for bib transfers and that window is open in February so keep an eye out and ear open. People are always selling their bibs as the race gets closer.... put the word out that you are looking! 3. Revel Mt. Charleston Marathon. April 2018. Downhill, speedy marathon starting in the mountains outside of Las Vegas. Finishes in Las Vegas where it's fun to celebrate and recover....racecation! Free photos and finishers video. They also have the most liberal deferment policy I've seen of any race allowing more spots to open up as the race gets closer. 4. Shipyard Old Port Half Marathon and Lobster Bake. Portland, ME June 23, 2018. Race field capped at 4,500 to keep it small. Coastal course with Shipyard beer, pizza and ice cream to refresh you at the finish. It's only $59 until 1/30/18....and I should mention my medal was gorgeous blue glass! 5. Beach to Beacon 10K Cape Elizabeth, ME. Aug. 4th, 2018. Gorgeous course along coastal Maine with a finish at the iconic Portland Head Light House. Registration is through lottery coming up soon and there is a bib transfer season as well. 7. Smuttynose Half Marathon September 30, 2018. Great fall seacoast course and a great medal with the Smuttynose Harbor Seal on the medal! The beachfront after-party in true New England style is fantastic as well. Lobster rolls, clam chowder, and Smuttynose Beer! You can read that recap here of the 2013 race. I can't wait to make it up north for this one again one day! 8. Marine Corps Marathon. October 28, 2018. "More Than a Race". So true. You will feel such emotion and pride for your country running this one. You will feel an amazing sense of gratitude for our service members and their families. 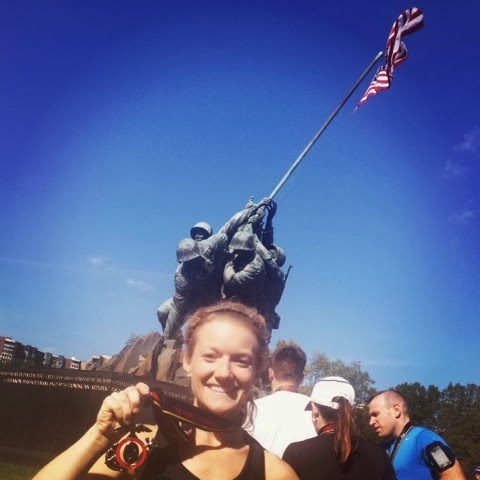 You can't beat the amazing 26.2 mile tour of the Washington, DC area...staring at the Pentagon, running past monuments, the Potomac River and ending at the Iwo Jima Memorial. Entry for this race is also by lottery which opens on March 22. I have run this race 4 years in a row 2013, 2014 and 2015, 2016 and you can click on the year to read my race recap. I won't be running this year. The kids mini-marathon the day before is also a fantastic event! 9. 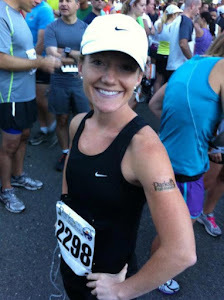 Richmond Marathon and Half Marathon. November 10, 2018. This was my half marathon PR and my hubby and I both love this race so much that we alternate years that we each get to run it. We just keep coming back for more! Great course, beautiful finish festival area, fast downhill finish and easy logistics-we basically park and walk to the start with about 15 mins to go and drive down the morning of from DC! We love this race! 10. 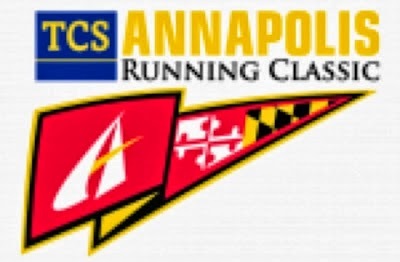 Annapolis Running Classic November 2018 Date TBD based of the Navy Football schedule. Great race through historic Annapolis. Not flat and not a PR race, but the after party will make the 13.1 mile jaunt well worth your time. Lots of micro-brews and oysters in the party tent. They always have amazing premiums for the runners as well. You can read my recap here of the 2013 race. The hubby and I make sure this is part of our race calendar EVERY year!